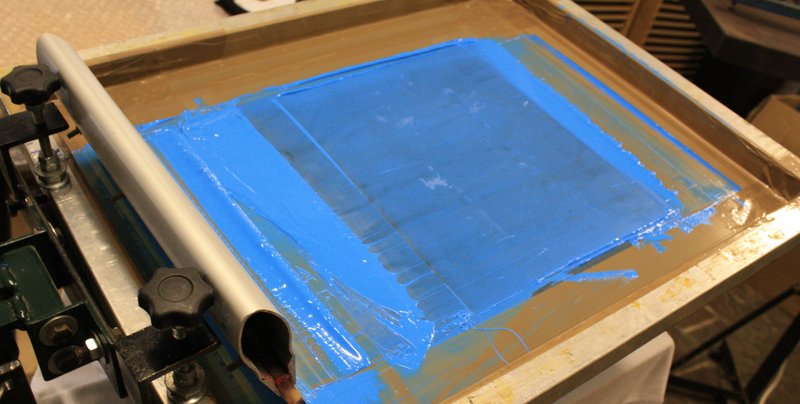 What is screen printing? Basically screen printing is a labour intensive process with each colour of the print requiring a separate screen printing screen/plate. 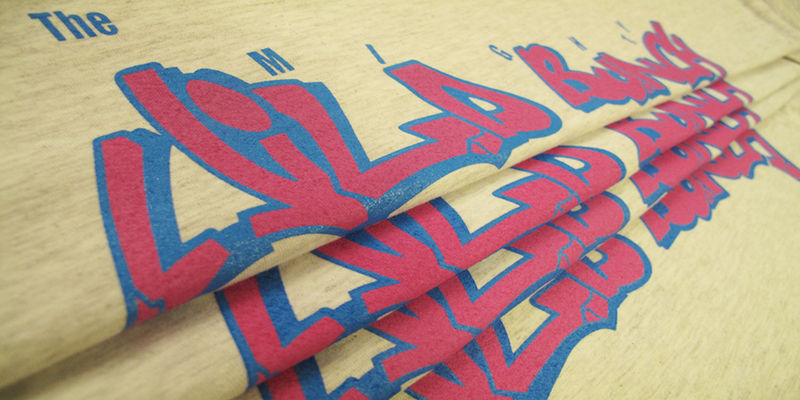 Each additional colour is hand printed then spot dried between colours. 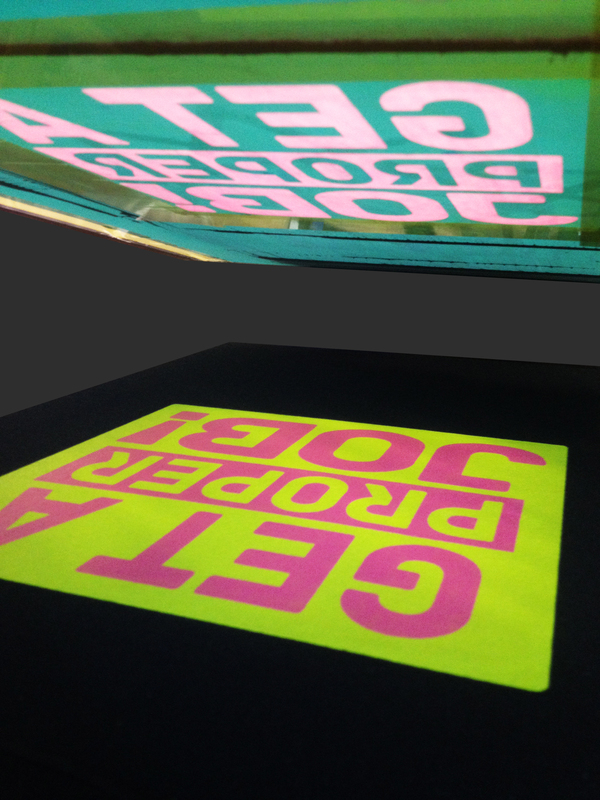 The garment is rotated on a specialist screen printing carousel for the application of each additional colour. 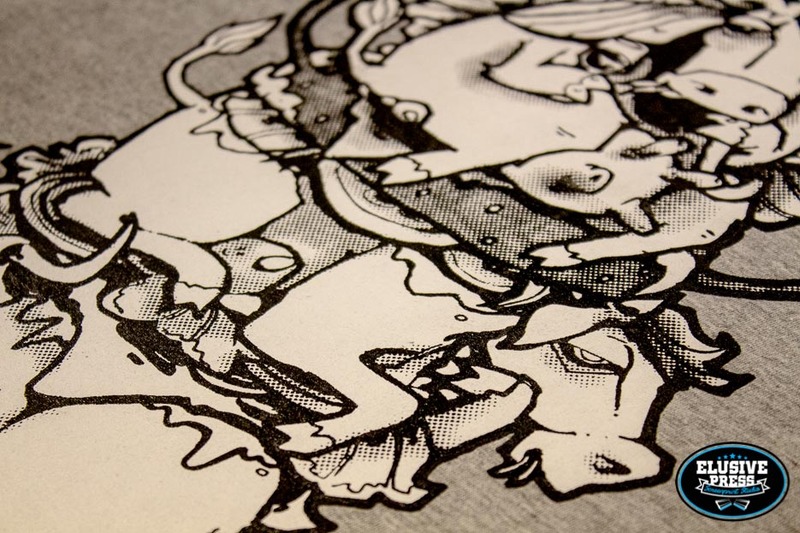 The garments are then heat cured on a tunnel dryer to provide maximum print durability and colour longevity. 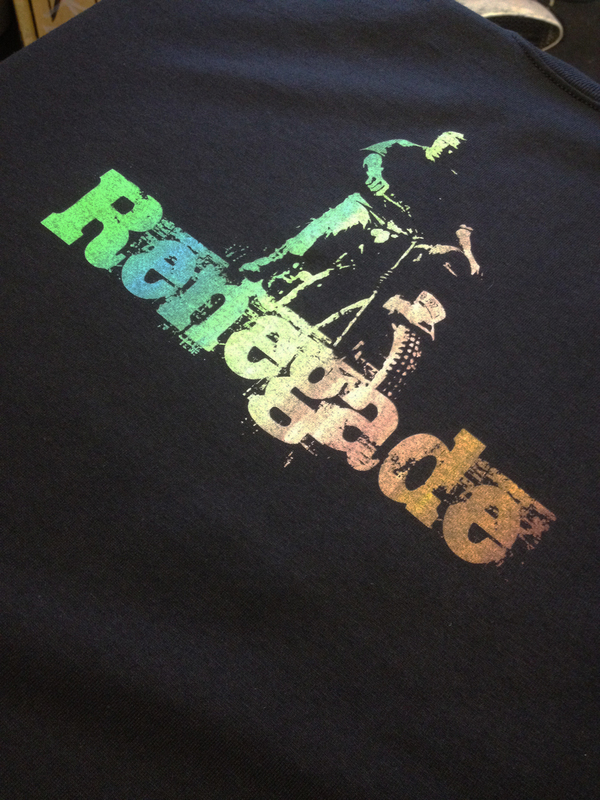 Single colour prints are the most popular choice for short volume fashion and promotional t-shirts for our customers. This is due to a quicker set up process in making the printing screens. This reduces the final print cost to you, the customer. Requiring a set up of 2 x screens, one for each print colour in the print. We off great deals on 2colour prints on our price page which include free screen set up. 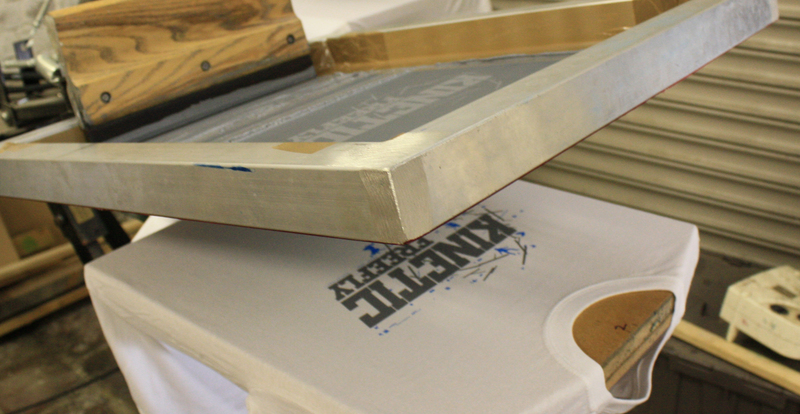 The screen printing process takes place on a specialist screen printing carousel. It is the same machine for t shirts and sweatshirts. 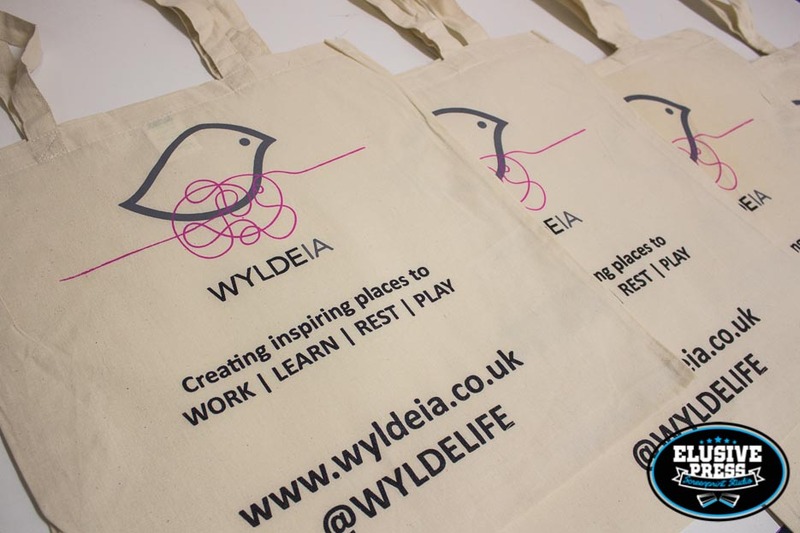 Once you understand the process you may want to tailor your multi colour logo design to a simpler sharper one or two colour print. This is because each additional colour is added using the same process and for extra colours the garment unit costs increase as the process becomes more labour intensive the more colours there are per design. 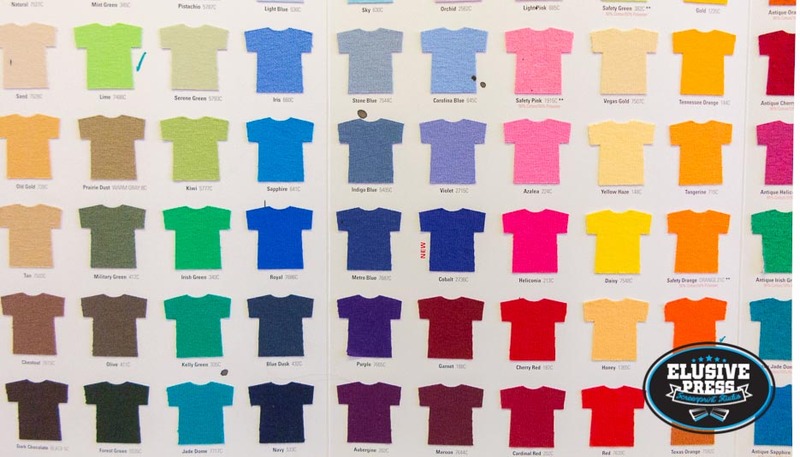 We suggest for economy of scale that minimum runs of 50 garments are usually the standard for 3 and 4 colour prints. 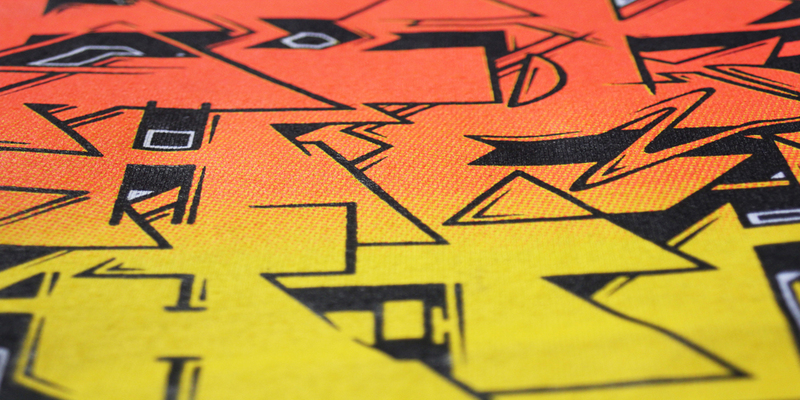 This garment had a 3 colour ‘bitmap’ chest print, to blend the orange ink into the yellow, creating a smooth gradient. Requiring a set up of 4 x screens, one for each print colour in the print. 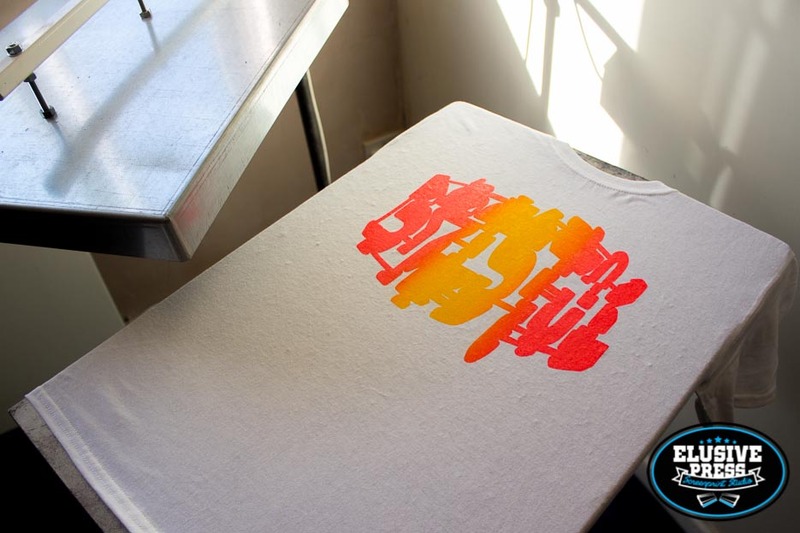 Split fountain screen printing, is a technique for screen printing two or several colours in one pass. It is a great way to have more colourful prints without the added expense of extra screen set up. As you can see in the example below which is a 2 colour screen set up. The first layer had 3 colours of ink pulled in one pass, the second layer being the black outline, creating a 4 colour print. 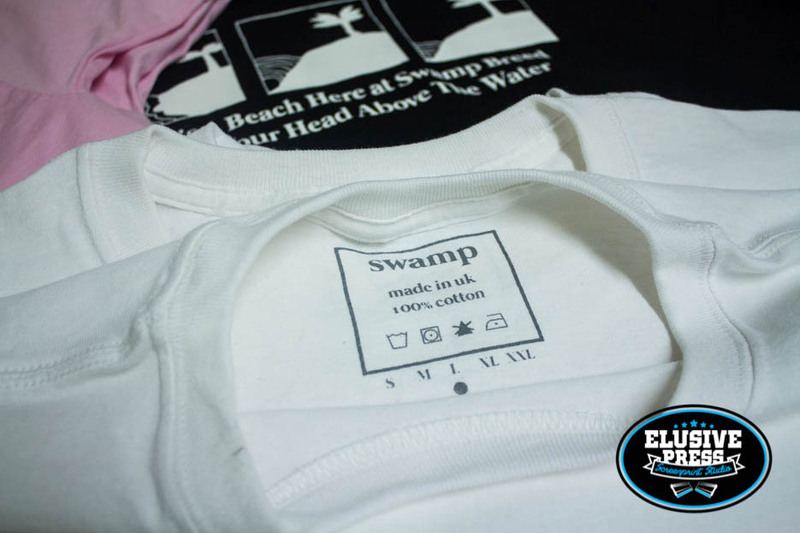 We can remove the Garment swing tag labels and re-place with custom screen printed labels, these are a popular addition. Not only do they give your garment a modern look and rebrand. 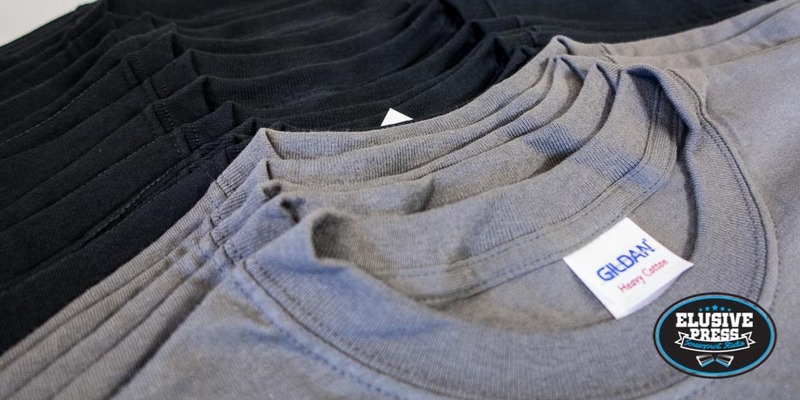 Functionally they make the garment more comfortable to wear and make it easier for a customer to read sizing details when purchasing in store from a row of garments squashed together on clothes hangers. 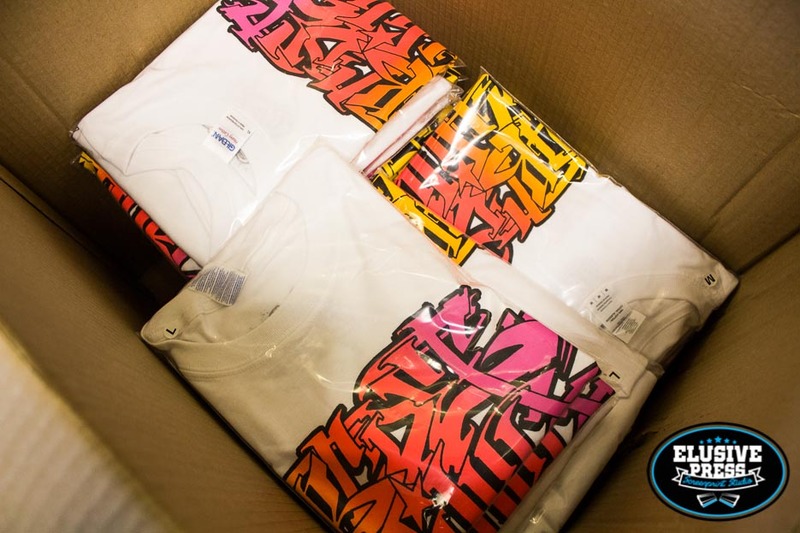 We offer your brand the chance to further personalise your garments with our folding, packaging and tagging service. 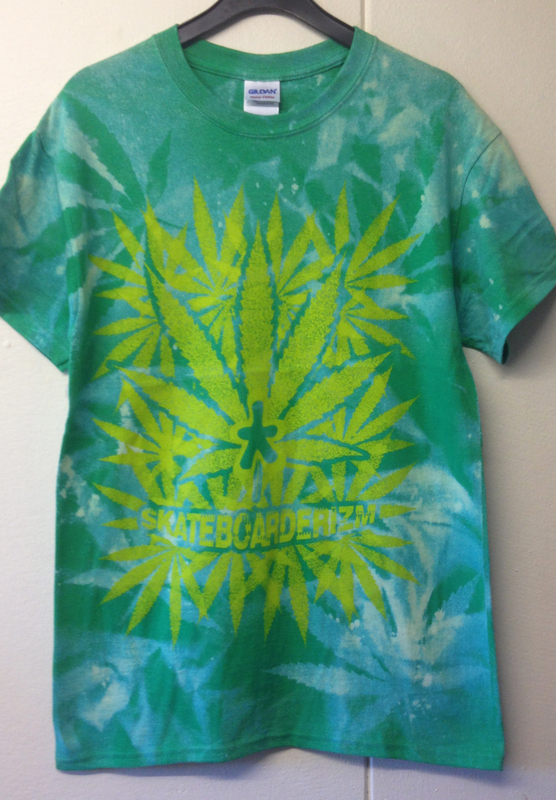 Do you need T-shirts printed ? 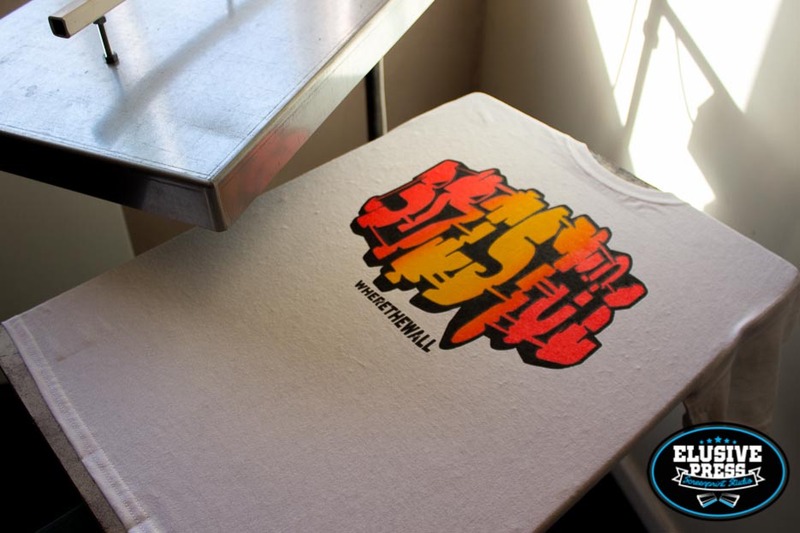 If you are looking for a friendly and helpful t-shirt printing service, welcome to The Elusive Press. 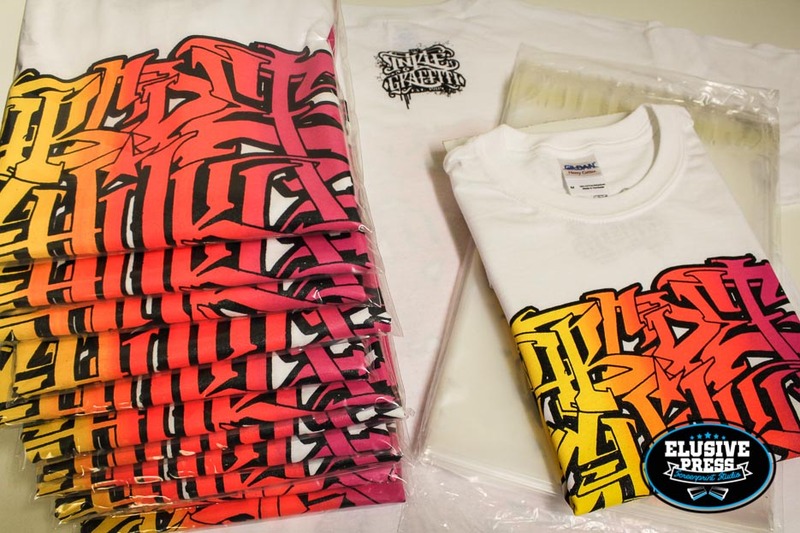 We are t-shirt and garment screen printing service based in Bristol Uk. 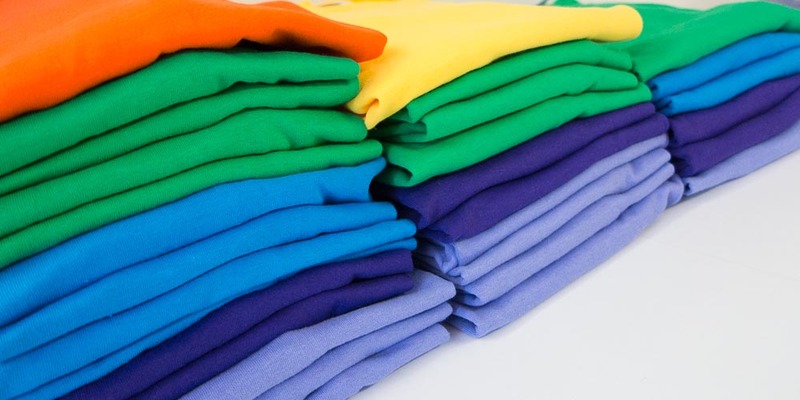 We offer a high quality fast turnaround screen printing service that includes; sweatshirt printing, label printing and custom garment printing. 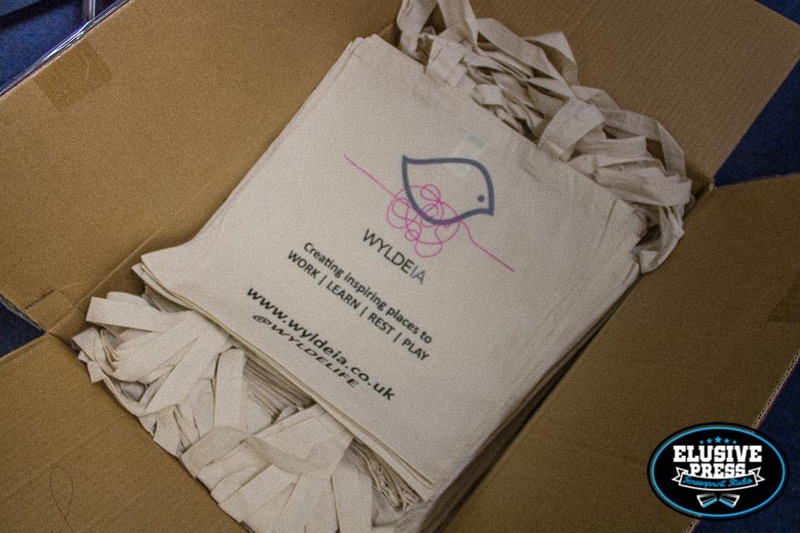 Small or large print runs, we are sure we can help you. Small volume t-shirt and sweatshirt printing. 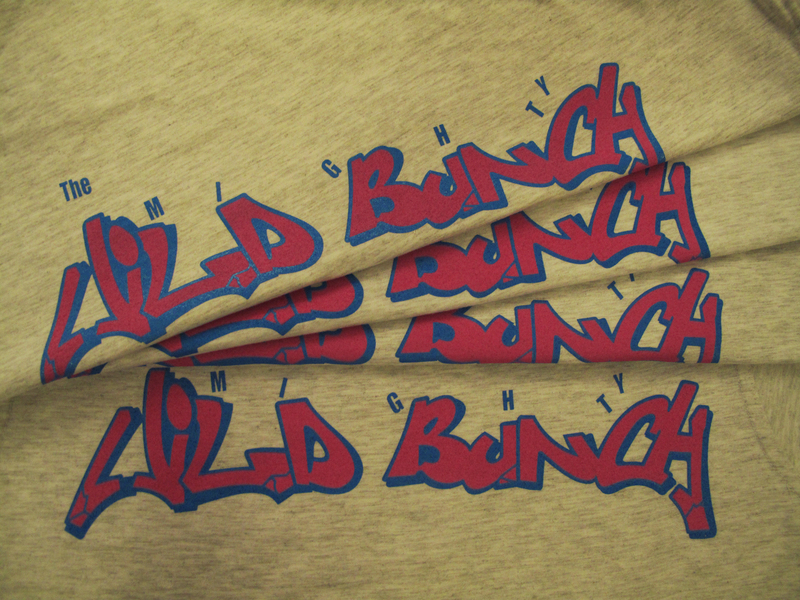 Medium to large volume t-shirt and sweatshirt printing. 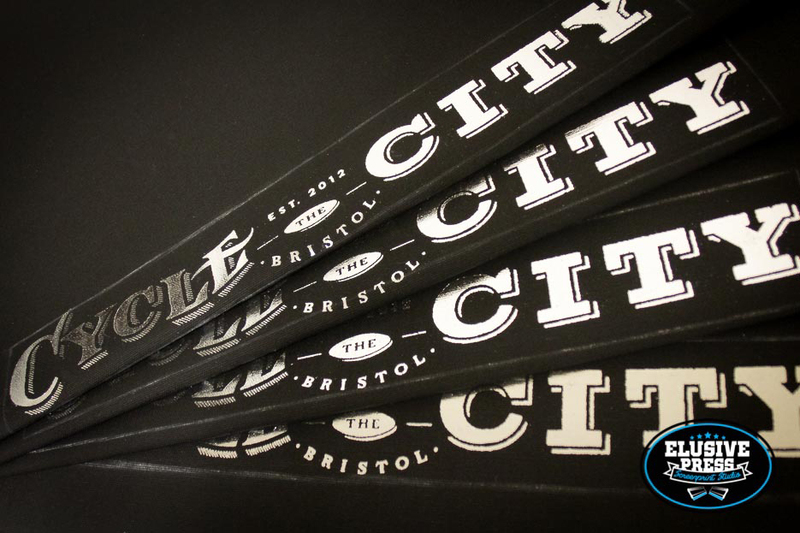 We have steadily grown into a commercial screen printing studio that is located in South Bristol. Continually inspired by the creative people and the creative works of art flowing from the talented artists and designers in the surrounding communities. 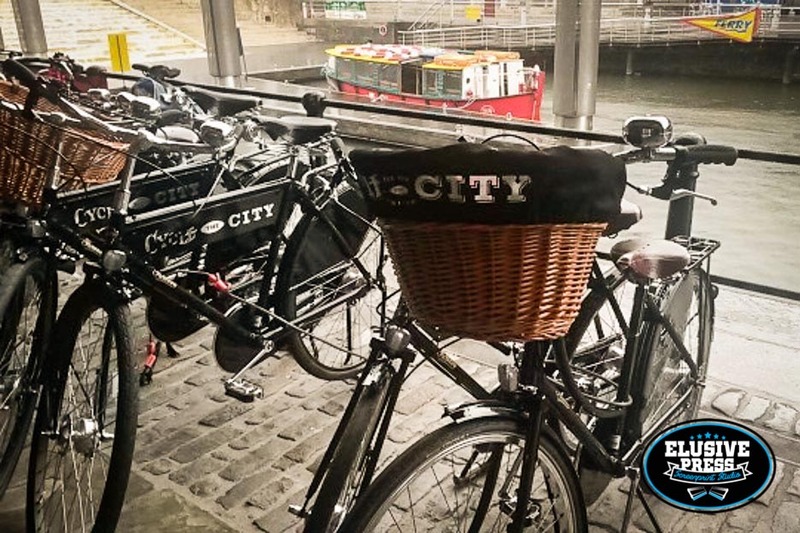 As artists ourselves living in the city we organically developed our Screen Printing Studio based on our own needs to produce high quality textile screen prints. 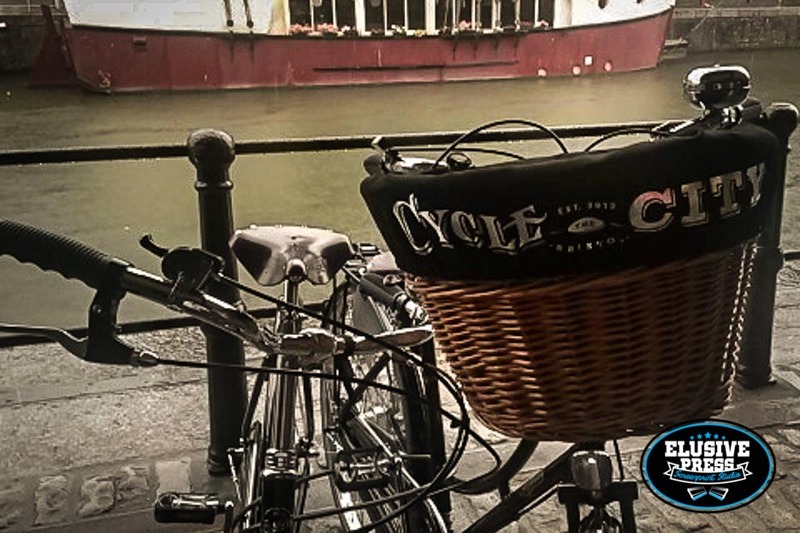 We supply many independent clothing brands, private individuals, sports teams, festivals, schools and clubs. Having a stag night or a hen party, well we can print for that too. Small runs or high volume runs, we always strive to re-produce your design to the highest print quality using the most advanced and modern inks available. 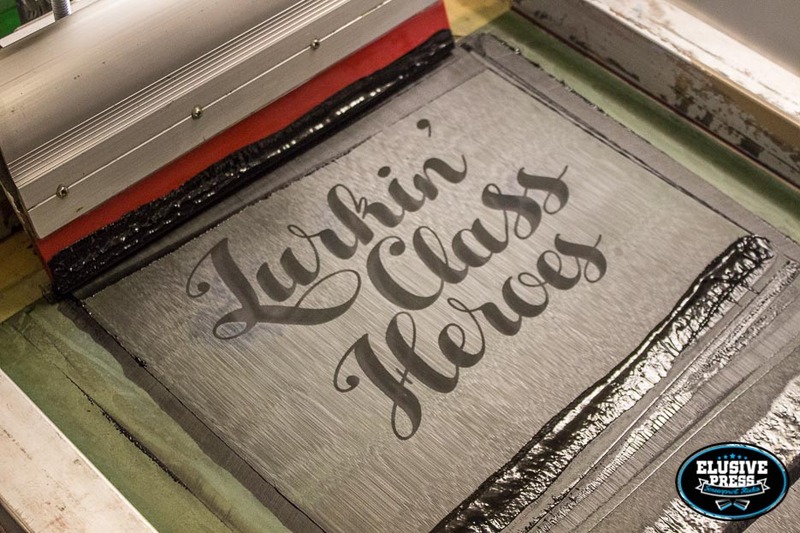 Known by our customers for our friendly service, we are always on hand to discuss your order and offer advice regarding the screen printing process where needed. 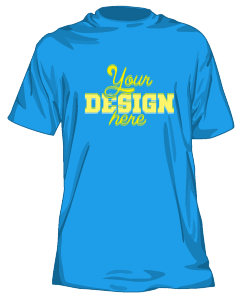 There is a standard set up fee of £20 for each extra design that has 2 colour prints and more. Each colour in a design requires its own screen. This charge is payable once to create each high quality screen needed for the initial set up. Following print runs using the same design have no set up fee. Even if you wish to change the colours of the print. The more colours the greater the unit cost. 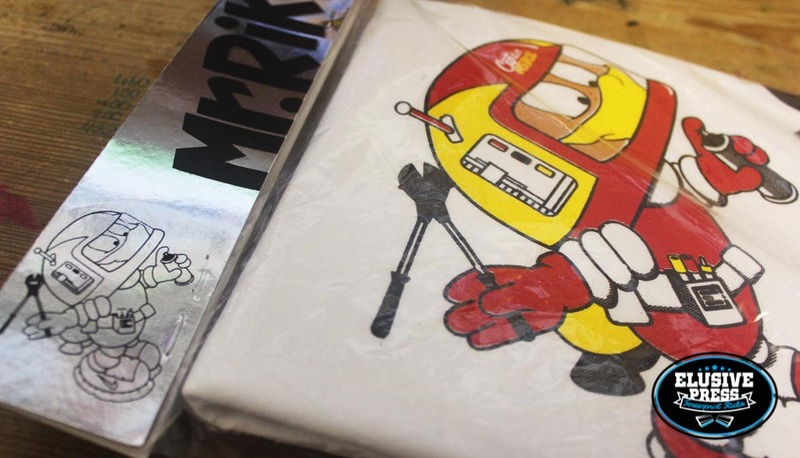 The print quality of your garment will be determined by the quality of the artwork you supply. If your artwork needs to be completely redrawn we can discuss and offer this service. T shirts Hooded sweatshirts, crew neck sweatshirts and polo shirts. Our job completion times are quick once if the artwork has been supplied print ready and does not need too much refinement or adjustment. Screens can be made in 1-3 days from receipt of artwork for single colour prints. Once the job enters the print queue. Usually 1 week is enough. We have busy periods, however we can speed up turnaround time ahead of other jobs for a small premium. 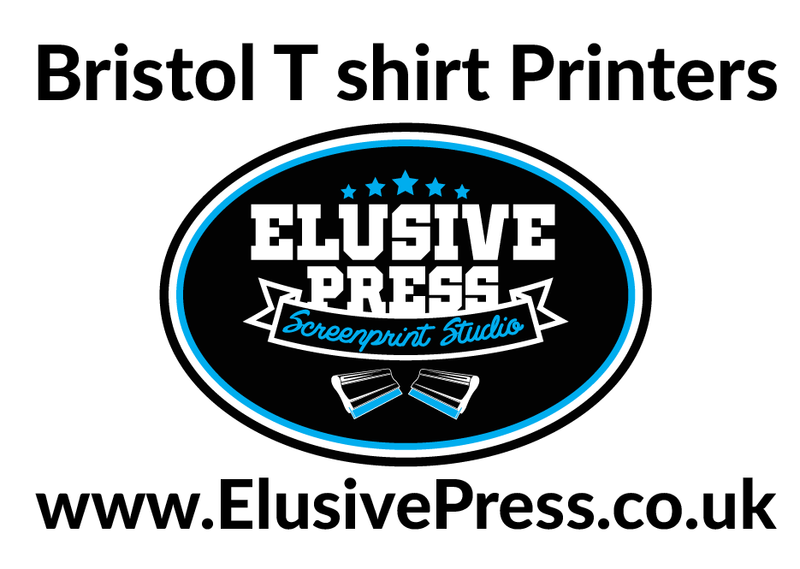 Elusive Press – Located in South Bristol, is a professional screen printing studio established in 2001. 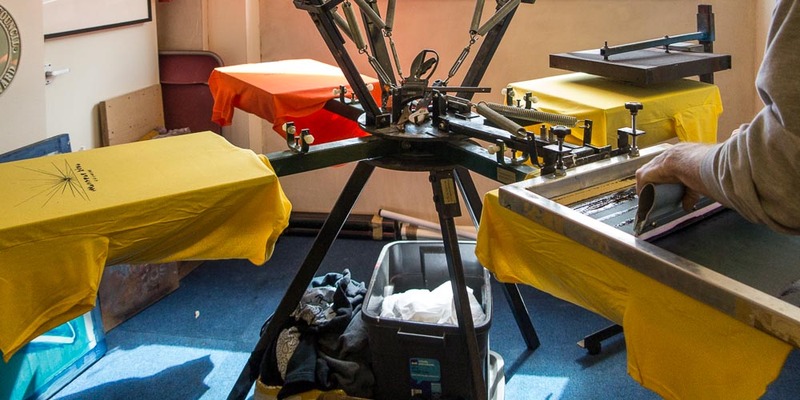 What started as a small single press set-up has grown into a commercial studio specialising in the production of high quality textile screen printing. 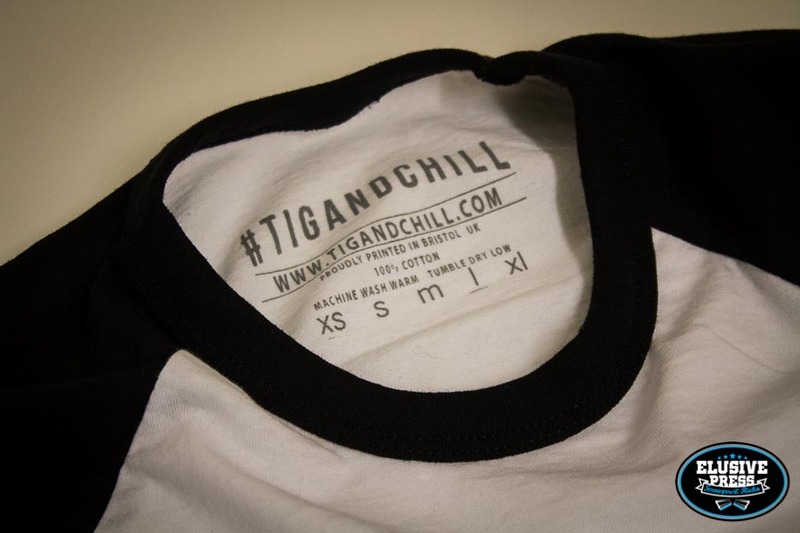 We have catered for clothing brands, individuals, sports teams, festivals and everyone in between. Whether it be high volume or small runs, we strive to re-produce your design to the highest quality and we’re always on hand to discuss your order and offer advice if needed. 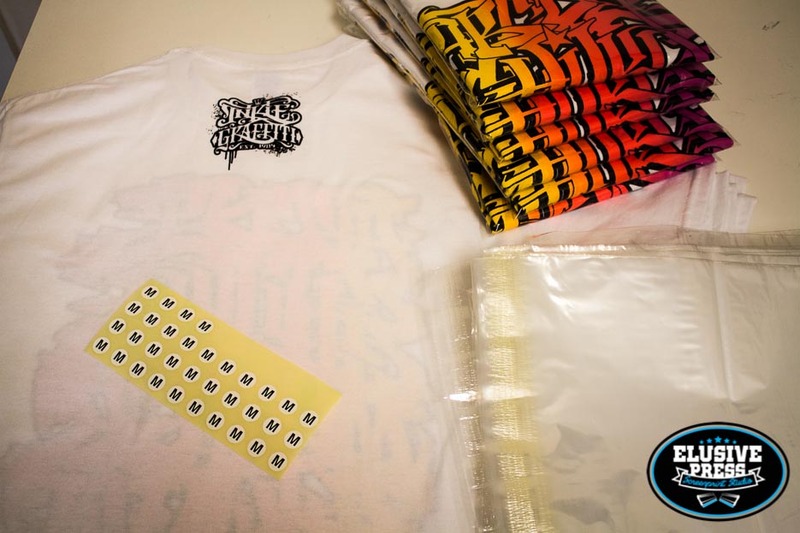 T shirt printers based in Bristol,. 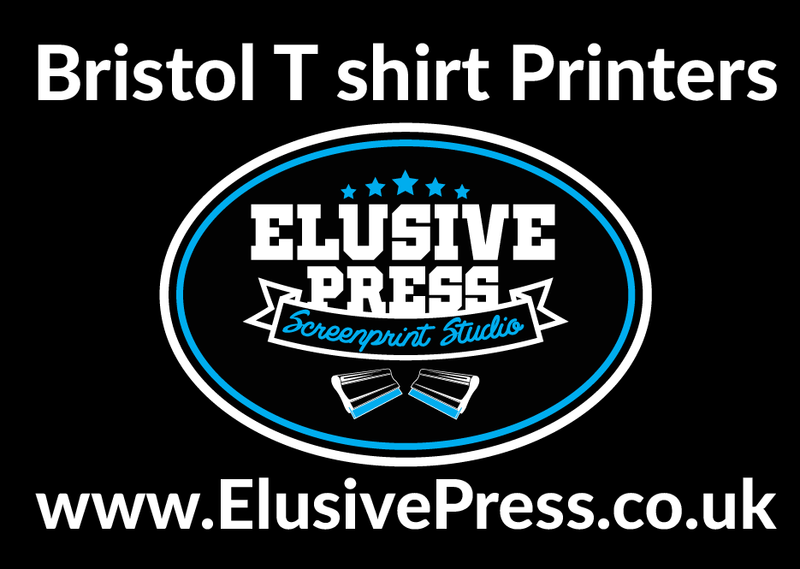 We are quality Bristol screen printer, so If you are looking for a friendly and helpful t-shirt printing service, welcome to Elusive Press. 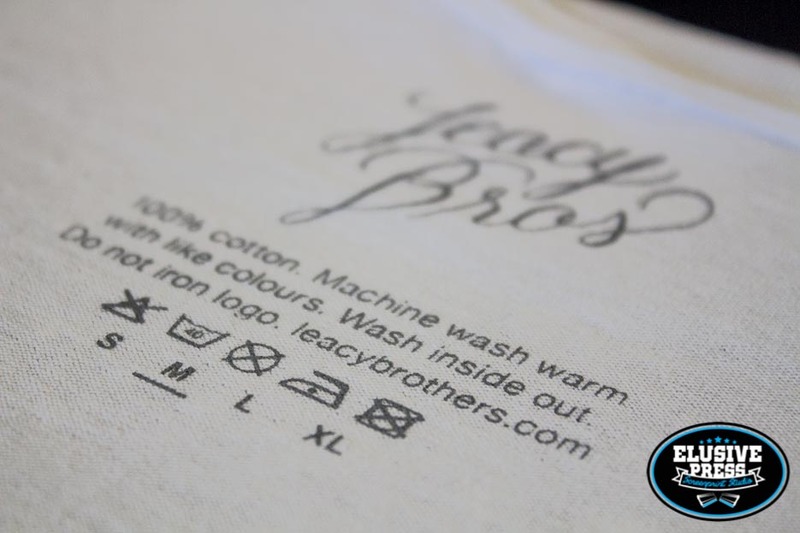 We are not only a t-shirt printer but can print on a wide range of garments. 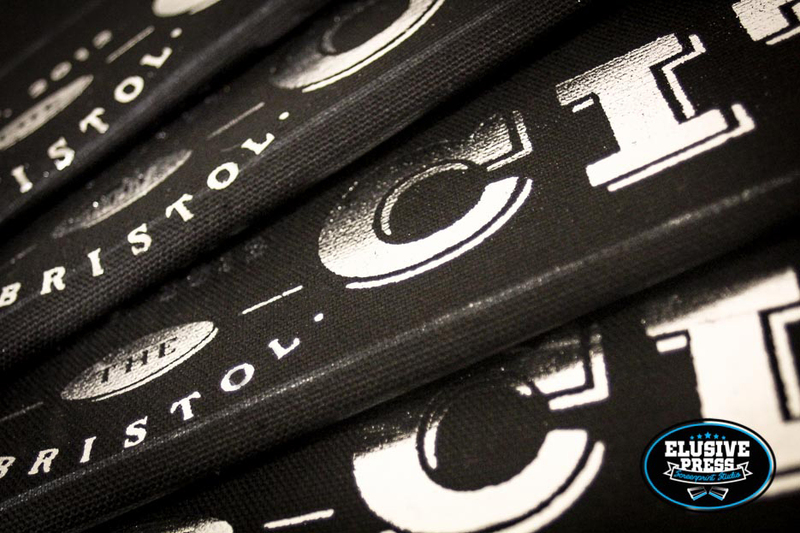 This is why many choose us as their regular screen printing service based in Bristol Uk. 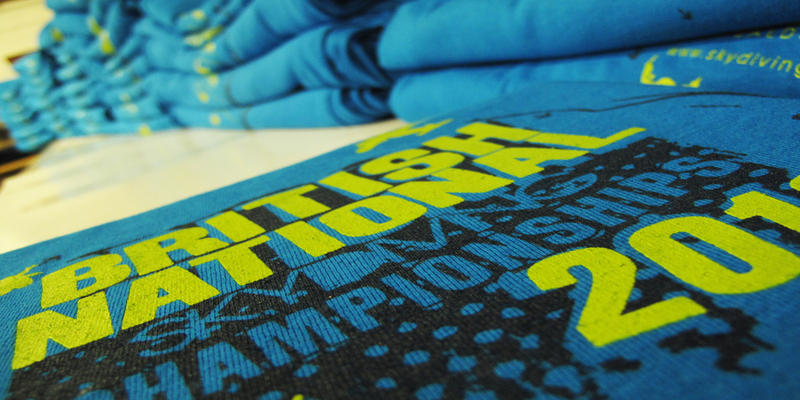 We offer a high quality fast turnaround screen printing service. 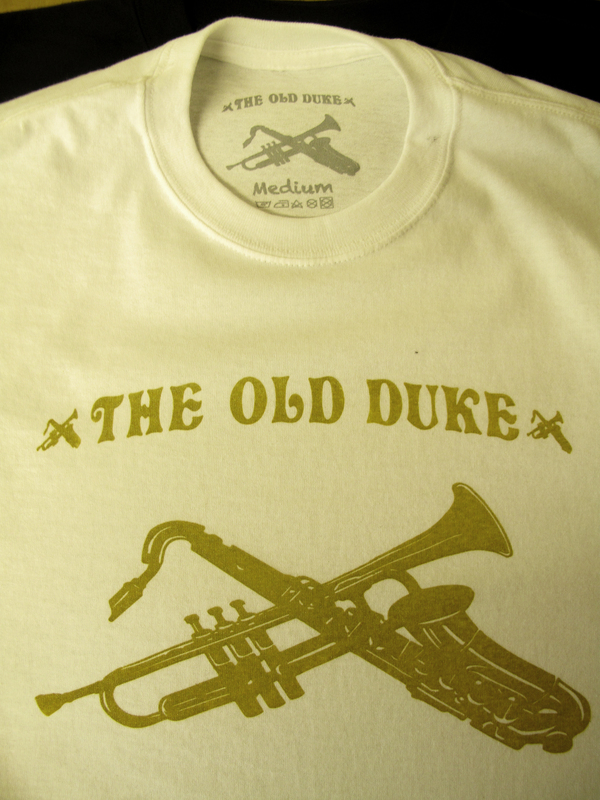 We also offer cheap and extremely affordable single colour T shirt promotion printing packages. 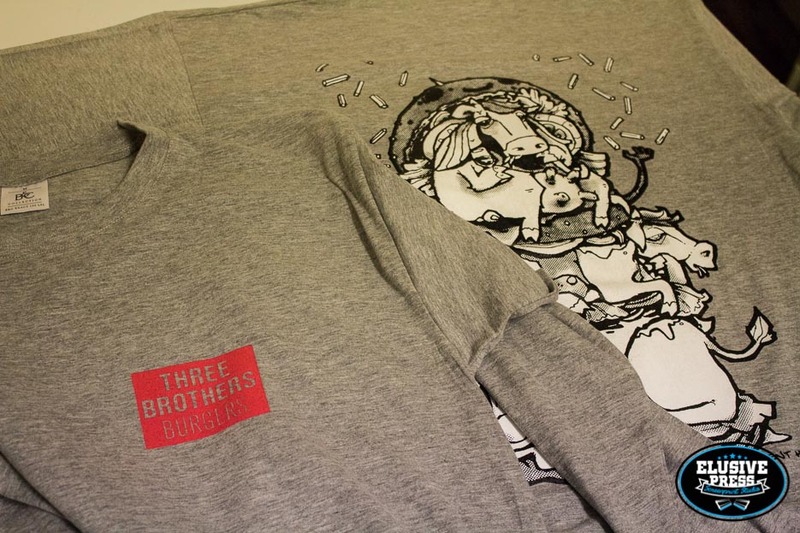 Alongside this service we are able to; high quality sweatshirt printing, label printing and custom garment printing. 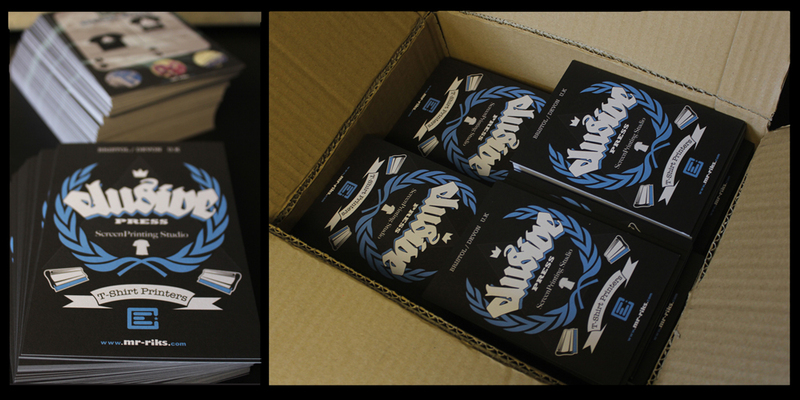 We are able to cater for small or large print runs. 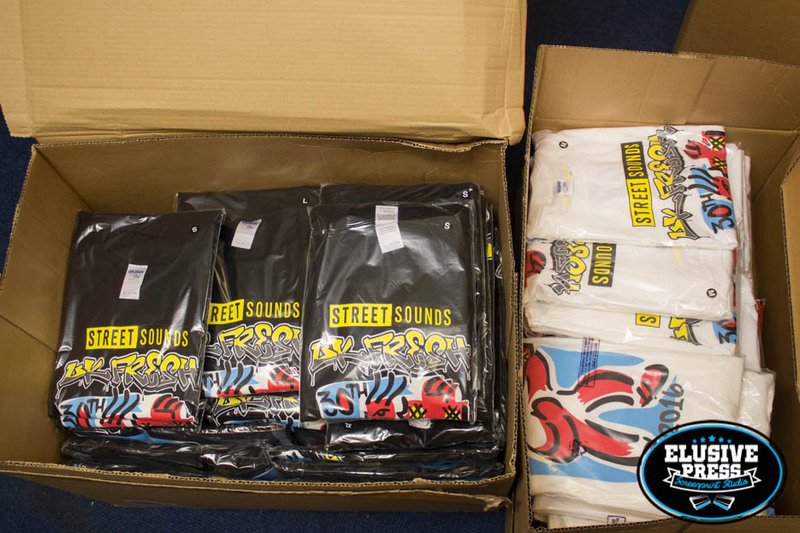 Whatever your t shirt or garment printing requirements we are sure we can help you. 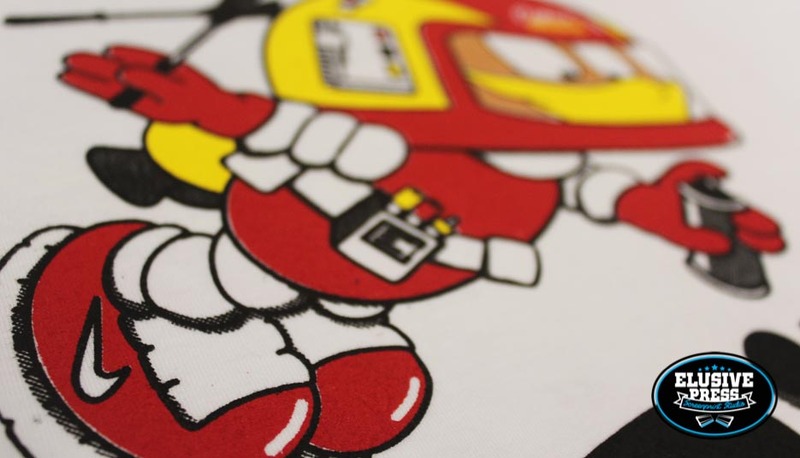 There is a standard set up fee of £15 per screen for each extra design that has 2 colour prints and more. Each colour in a design requires its own screen. T shirts Hooded sweatshirts, crew neck sweatshirts polo shirts and vests.